Hello, my friendly friends, and welcome to a very special edition of Will It Sous Vide?, the column where I cook all the things with my immersion circulator. I forget who originally suggested it to me, but I got many emails, tweets and comments suggesting I attempt to sous vide an entire turkey, so that's what I tried to do. It was quite a time and it was very stressful. So settle in, maybe get some snacks, and come along with me on an epic journey of love, loss and — eventually — triumph. I started out with such big plans. After drunkenly harassing Alan on Twitter over the number of turkeys I would be able to purchase, I settled on three, and planned to do one whole, one spatchcocked and one broken down with the light and dark meat cooked at separate temperatures. 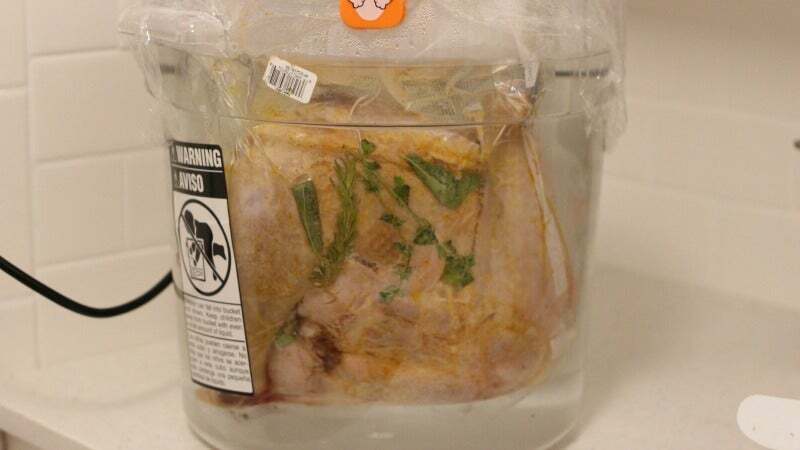 I defrosted the birds, bought some brine bags and a vacuum-sealing system (it was about time to be quite honest) and prepped the first, whole, bird. I started out in a very organised fashion. I even made little herb bundles for each batch, such was my hubris. This is what a best laid plan looks like. 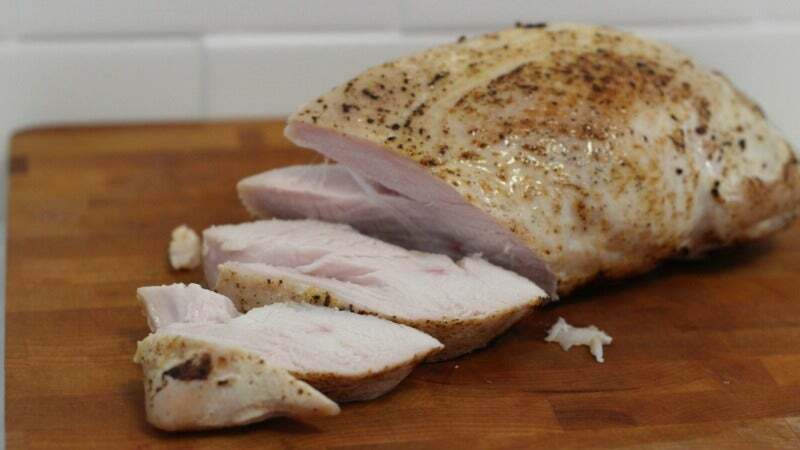 Now, before we continue, I know that there are many sous vide turkey recipes, but those are mostly for turkey breasts, and that's not what we're after here. We're going whole hog, or bird, as it were. Anyway. 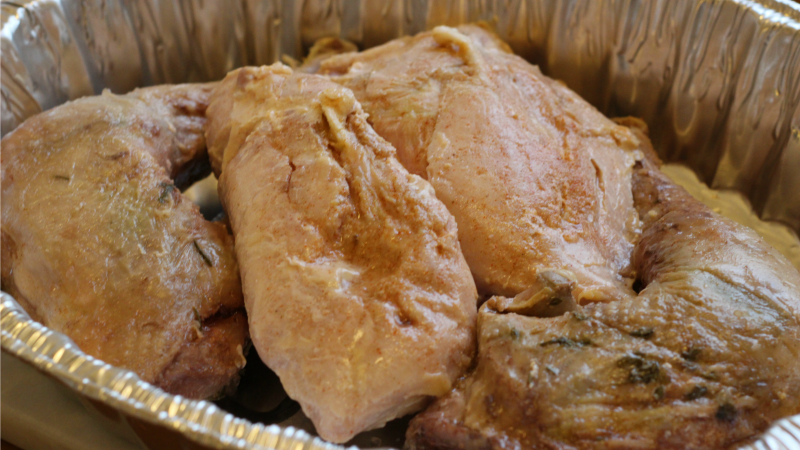 I began by making a very simple rub that I intended to use on all three turkeys comprised of 1 cup sugar, 1 cup salt, 1 teaspoon of garlic powder and one teaspoon of paprika. 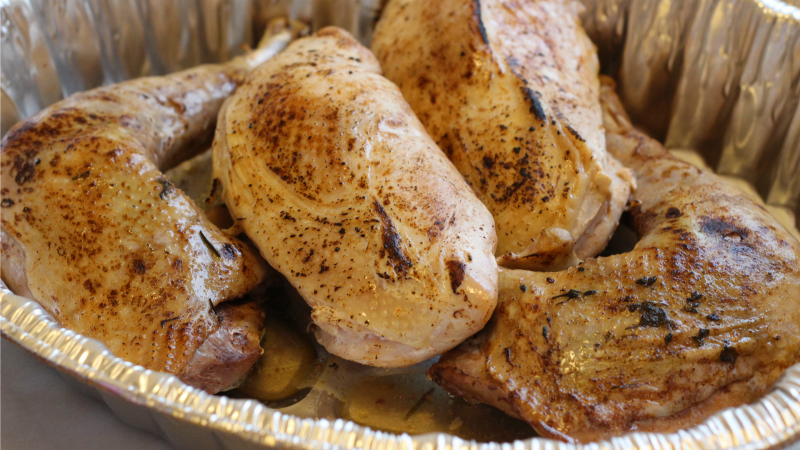 I rubbed that, plus a tablespoon of Roasted Chicken Better Than Bullion all over the outside and inside the bird. I then removed the neck and giblets, and filled the cavity with my little herb bundle and a whole head's worth of crushed garlic cloves. I chopped up a couple of stalks of celery (even though I hate it) and a couple of carrots, quartered an onion and threw it all in a basting bag. It made for a pretty picture, but it was not meant to be my friends, it was not meant to be. There were problems immediately. 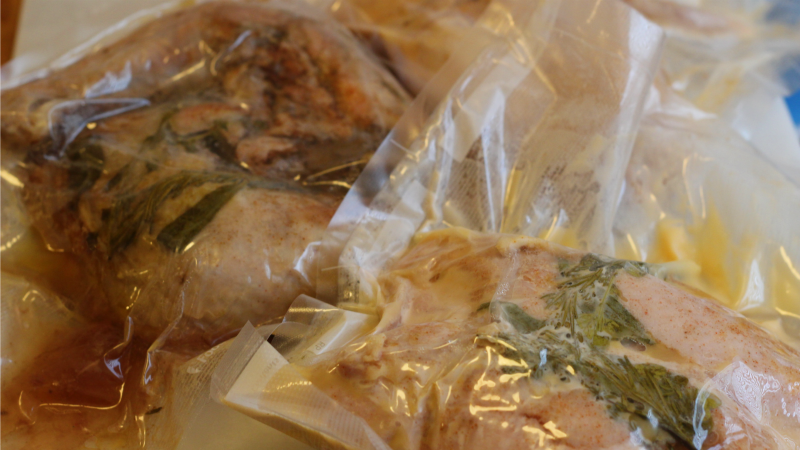 Though I am now in possession of a vacuum sealer, the brine bags weren't compatible with it, and they don't make vacuum bags big enough for a whole turkey. (I mean, they might exist somewhere, but they are not readily available to the average human, so let's just say they're not real.) I removed as much air as I could by submerging the bag in water, but obviously that did nothing to the air in the cavity, making for one buoyant butterball. I could have maybe MacGuyver'd something with my vacuum system, but I was afraid of breaking my expensive new toy, and there was a bigger problem: The water bath. 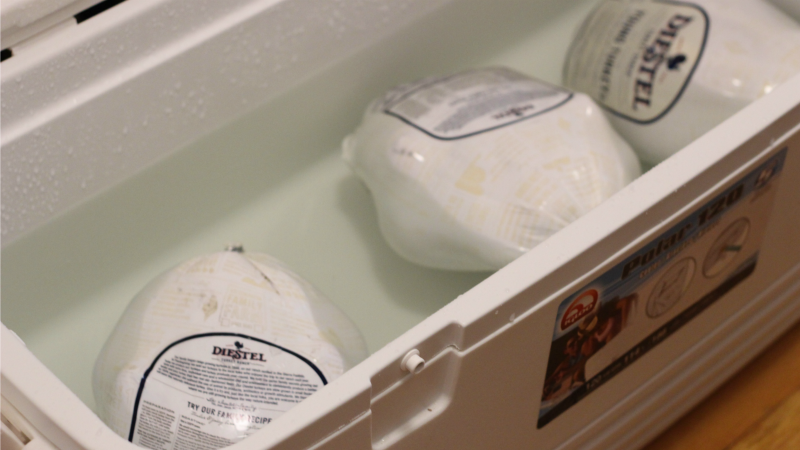 So there I was, with a turkey that wouldn't sink, a bath that wouldn't heat and a circulator that had effectively given me the finger. I began frantically texting friends and lovers alike to see if they had any bungee cords I could borrow — What did I plan to do with them? Who knows! — when I decided to consult my very wise editor. "Please stop," he said. "It will not sous vide. That's OK. Hush now, my child, dry your tears and try something else." (Those are not exact quotes, but that was the spirit of the Slack conversation.) Try something else I did, but not before chucking the Turkey of Sadness in a pan and rage roasting it. It came out OK. I ate half the skin off of this in about 10 minutes. I decided to skip the spatchcock idea because, while I am a touch self-loathing, I don't completely hate myself, and moved on to the break-down-and-cook-at-different-temps plan. 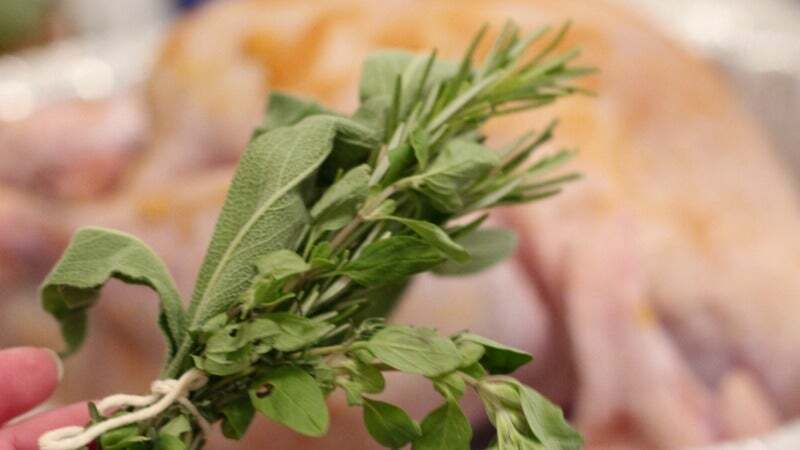 I dismembered the bird, rubbed the legs with my sugar-salt mixture, and placed them lovingly in a bag with four sage leaves, a sprig of rosemary, a sprig of marjoram, a sprig of thyme and a couple of tablespoons of duck fat. I sealed that up, plunked it in a bath set to 75C, and let 'em hang out for five hours. This is the sous vide I know and love. I removed them from the bath, set them on the counter, and lowered the temperature of the Anova to 65C. 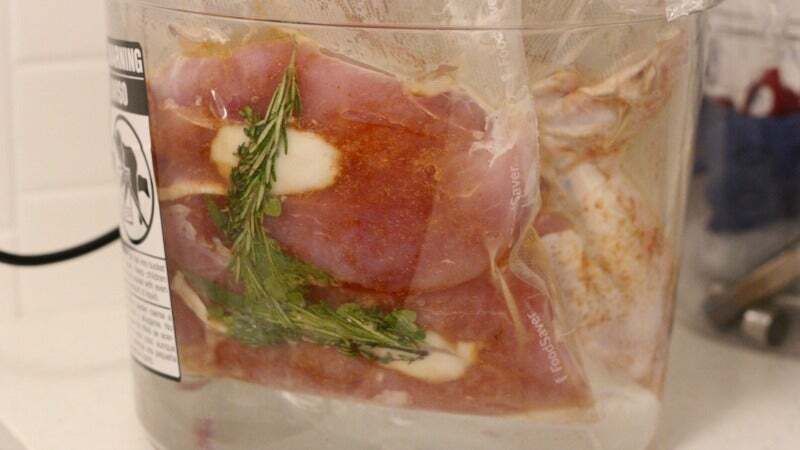 I gave the breasts a little massage with the rub, and placed them in a bag with the same herbs and fat as the legs. Those then went into the bath for three hours, which I spent at the bar, drinking rye cocktails. They finished up about the same time as last call, at which point I removed them from the bath and set them on the counter to come to room temperature. I left everything out on the counter overnight, but you might want to put them in the fridge, should you attempt this. Then, in the cold light of day, I removed the turkey parts form their pouches, poured the drippings and extracted collagen into my pot of stock, and placed them in a roasting pan. I then popped them in the oven for 15 minutes at 160C to reheat them and (hopefully) crisp up the skin. They warmed up alright, but the skin wasn't crisping, and I didn't want to risk drying them out. It was then that I turned to the torch. The skin kind of crisped, but not really, and it took forever with that small, though very hot, flame. I was disappointed, because I live for crispy skin, but then I took a bite of the meat. The dark meat was similarly transcendent. I'm a leg lady myself, and this succulent section of turkey almost made me weep with joy. 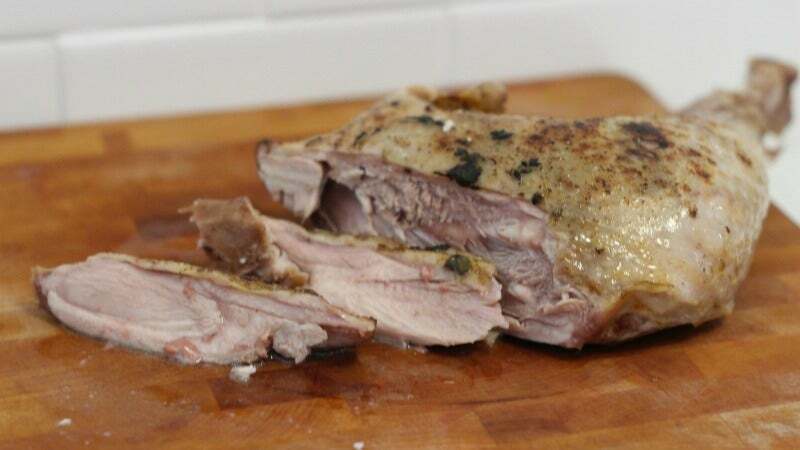 All that connective tissue had broken down in a very pleasing manner, and the texture was startlingly similar to confit duck. Living alone has its perks, and one of them is that I was able to chow down on this leg over the sink, juices dripping down my face like some sort of starving T-rex. The only sad thing is that there was no one else around to taste the meat, and confirm that it was real, and not some sort of sous vide fever dream. I mean, there was this thing, and she was impressed, but she eats cardboard so I don't know that her opinion is valid. 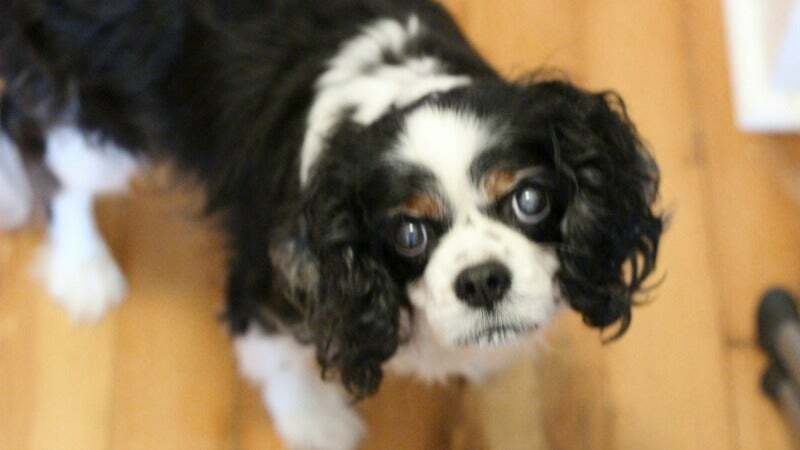 She once ate the corner of a chemistry text book. 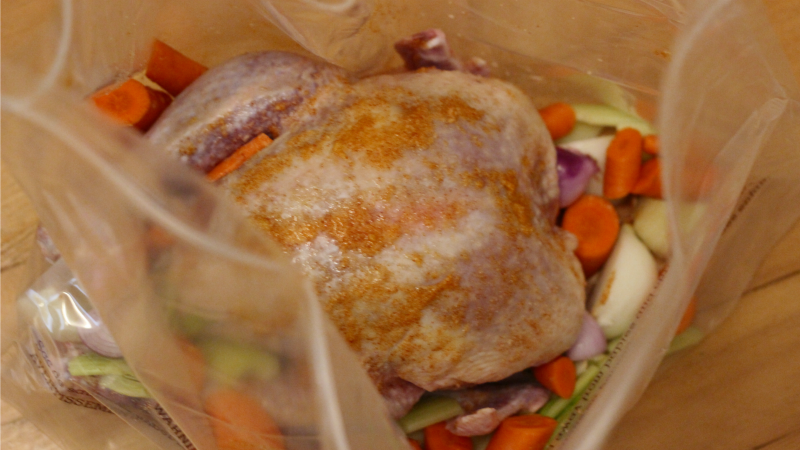 So, going back to that most eternal question: Will a whole turkey sous vide? The Answer: Yes, but some disassembly is required. Though I'm sure you could rig some sort of situation where you could immerse an entire bird, it's a hassle and a half, and you don't have the benefit of cooking the light and dark meat at different temperatures. I was actually kind of glad I had ended up rage roasting that first turkey, as I was able to compare and contrast the meat and confirm that the sous vide version was indeed far superior. Now, there is an obvious drawback, and it is the skin. The skin is a problem, but it's a problem the Food Lab already has an answer to. Just remove the skin first, and crisp it up separately between two sheet pans. Boom. Problem solved. There's also an issue of optics. You won't get that picturesque photo of a whole roasted turkey for your Instagram, but you get something much better than that. 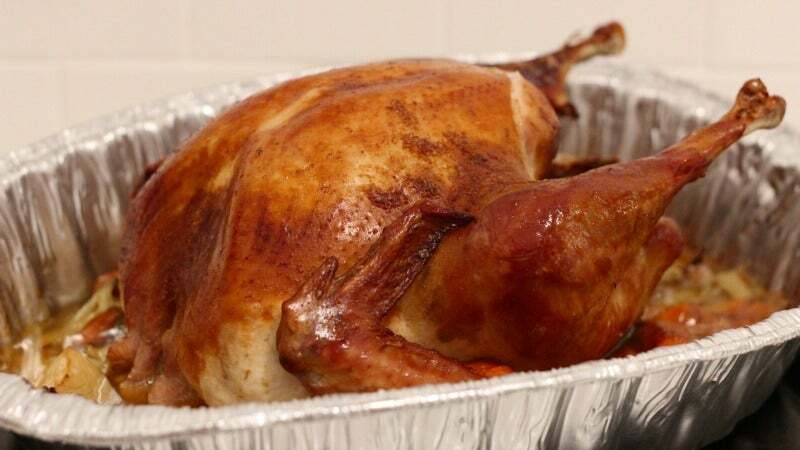 You get turkey you will want to eat, nay, devour. 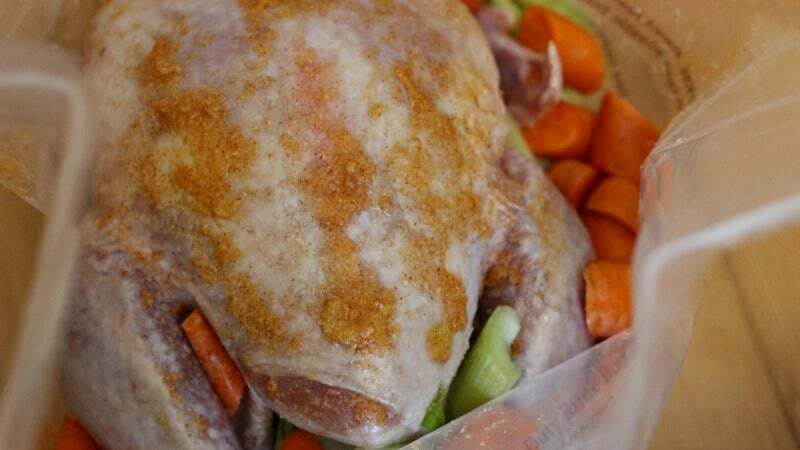 You get turkey that may not even make it into a sandwich, for there will be no leftovers. You get turkey your family and friends will rave about. Besides, social media is already flooded with photos of food. No one will miss yours. Why ever did you use an Anova device? In the interest of maintaining credibility you could have achieved the desired result without bias. I've found from Chicken it's really best to Spatchcock it to ensure even cooking. In theory one could simply cook the whole bird long enough; the meat become supremely tender although struggles to maintain structural integrity. Otherwise, using a large oven bag helps in getting some of the bag into the hollow so that water circulates through there. I do find that sous vide does have a tendency to make the marrow still quite red, making many a guest concerned that the meat is undercooked. Finally, I've found that my Sansaire at least is able to cope with a larger volume of water with two steps - 1) boiling water separately so the unit really only needs to maintain temp rather than heat water 2) covering the top to reduce heat loss. Awesome stuff! Thanks for trying out the turkey, Claire. You sure the dog didn't get any? She has those "you never feed me" eyes.